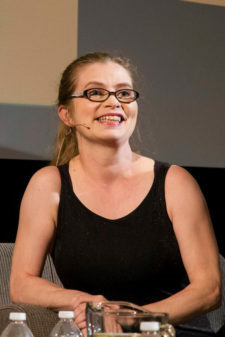 Anakana Schofield won the Amazon.ca First Novel Award and the Debut-Litzer Prize for Fiction in 2013 for her debut novel Malarky. 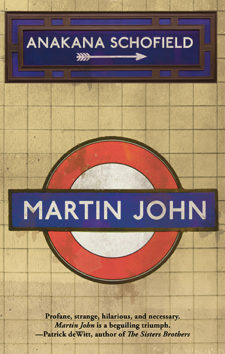 Irish-Canadian, she has lived in London and in Dublin, Ireland and presently lives in Vancouver. 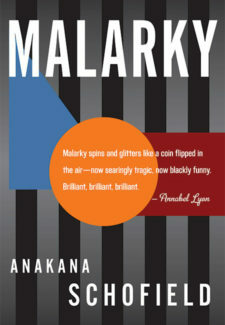 Malarky was also nominated for the Ethel Wilson Fiction Prize, selected as a Barnes & Noble Discover Great New Writers pick and named on many best books of 2012 lists. Schofield has contributed criticism and essays to the London Review of Books Blog, The Guardian, The Irish Times, The Globe and Mail and more.